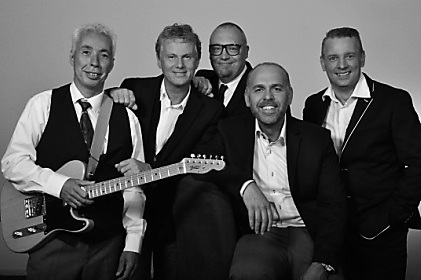 Cashflow3 - Cash songs met de spirit van San Quentin! Country, rockabilly, rock&roll or Johnny Cash fan? Then you do not want to miss the next show from Cashflow3! Is Johnny Cash live at San Quentin your favorite Johnny Cash record? Come to one of our shows for a unique experience. Rockabilly and country music in the flow of the great country-legend Johnny Cash. We try to play with the same spirit and energy instead of imitating him, which is obviously impossible. 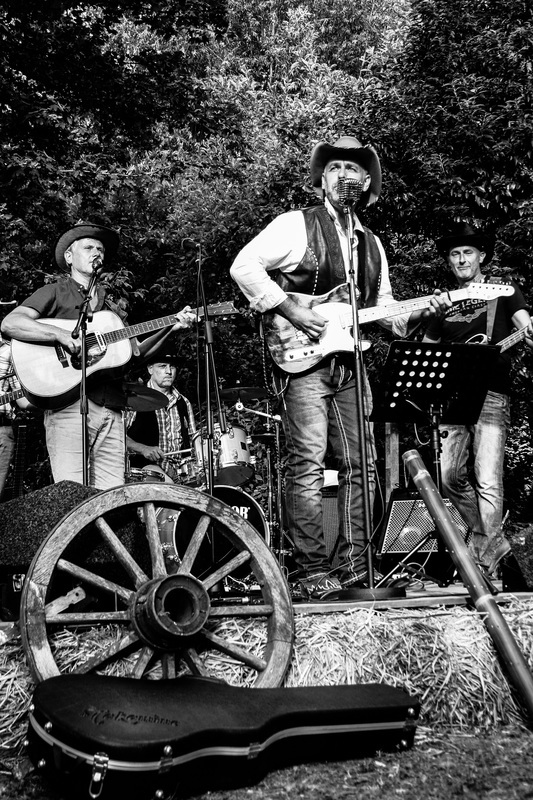 The new band ‘Cashflow3’ (which exists of five experienced musicians) puts on a strong, energetic and spectacular show with well know and less well known hits from Johnny Cash. In 2013 they began to perform live on Dutch radio stations before the band existed. 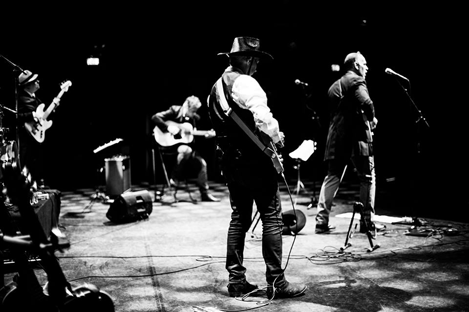 On February 3, 2013 in Papendrecht, the band put on their first show, but the auditorium was too small. A few hundred people had come back for a second performance. 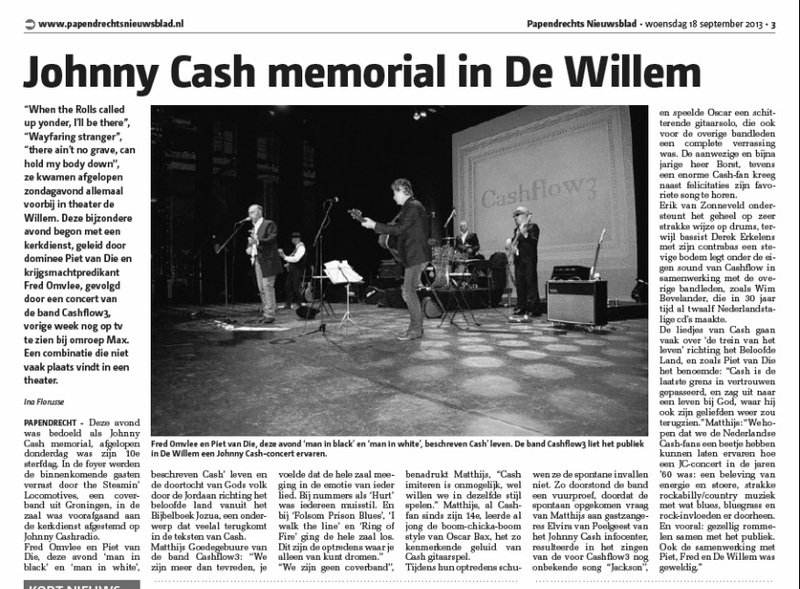 ​During the Johnny Cash Memorial on September 15, 2013 in ‘De Willem’ theatre in Papendrecht they played their first sold out concert. This was their first serious concert. The public went wild when the numbers “Folsom Prison Blues”, “I walk the line”, and “Ring of Fire” were played. There were also goose bump moments during the performances of “Hurt”, “Wayfaring Stranger”, and “Lead me gently home”. Johnny Cash, Brad Paisley, Eric Church, Chet Atkins, Vince Gill, Mark Knopfler, Elvis Presley, Ricky Skaggs, Bill Gaither, Homecoming. Cashflow3 in Studio 23 Hilversum, the Netherlands just before the live show on Dutch television station2.